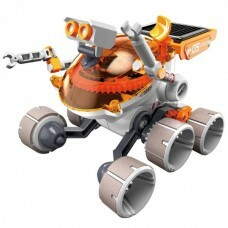 Captain Roam-E-O is solar powered toy robot mini kit that inspires children of all ages. Captain Roam-E-O is an all-terrain solar rover with a 4 wheel drive system with 6 wheel mechanical suspension. It gets it power from the sun by using a small solar panel. 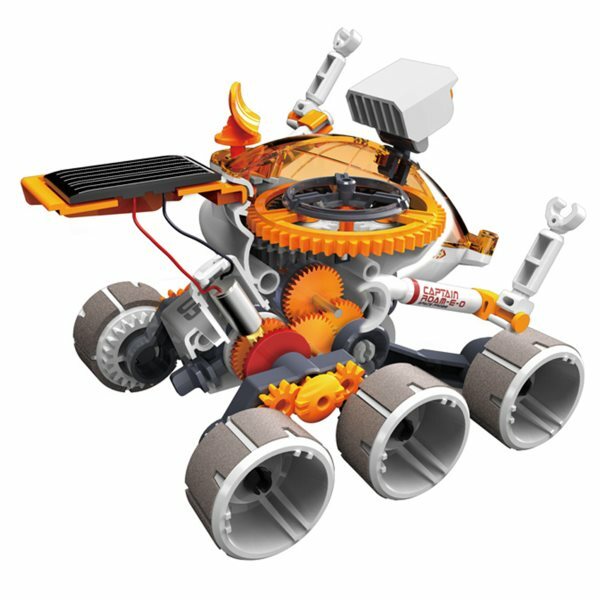 It features a planetary gear transmission system and adjustable robotics arms. This is a kit with 67 parts that require assembly. The completed Captain Roam-E-O measures 4.13 x 2.97 x 3.11 inches. The manufacturer recommends the kit for children 8 and up. We suggest that adults provide assistance during assembly. Explore solar power, mechanical transmission and electric motor theory with Captain Roam-E- O.